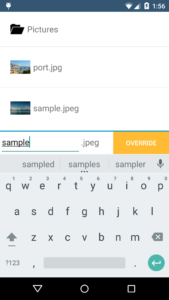 The library we’ve built is meant to help anyone building an Android app to allow uploads from many different cloud storage services simply by referencing our library into your project. We improved the way selecting multiple files in the UI. Now, it’s very easy for users to connect multiple files from all their connected services. In an effort to make it super easy on developers, we’ve made our library compatible with Maven. The benefits of using Maven are huge. Adding one line of code in the settings file will include the Filepicker library and all of it’s dependencies into the new app. This means much fewer errors, less to configure, and more time building features in your own app! We added Amazon Cloud Drive as a source, just like our other integrations, such as Dropbox. Now users can download, multiple downloads, and export to Amazon Cloud Drive. There’s more security if users want to export a file to our integration partners. When a file a user uploads already exists, a yellow prompt appears notifying that they’re going to overwrite the file. We’ve implemented a few libraries from Square to enhance the performance and reliability of Filepicker, without having to reinvent the wheel. Picasso as it’s aptly named, applies flair to Android apps. We use it to help load images and help with memory usage and caching. To optimize data transfer over your mobile device, we’ve implemented Retrofit which uses OkHttp. It helps save bandwidth and improves load times. 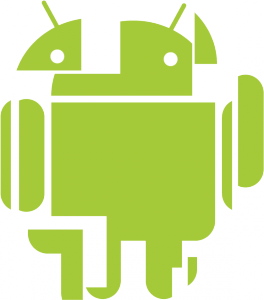 Fragments were introduced into Android in the 3.0 release to be flexible for interface designs on all sizes of screens. We’ve implemented fragments in this most recent release so that developers including our library don’t have to redo the Filepicker interface for their app. Looking at ways to improve the reliability of the library, we’ve moved file transfers all to background services. Previously, asynchronous tasks were used, which meant that users would interrupt the uploading and downloading by opening another app, or taking a phone call. Now as soon as the file transfer process is begun, the user can navigate elsewhere on their phone or tablet, and the process will continue.